The peas are producing and the broccoli is generating small florets for snacking. 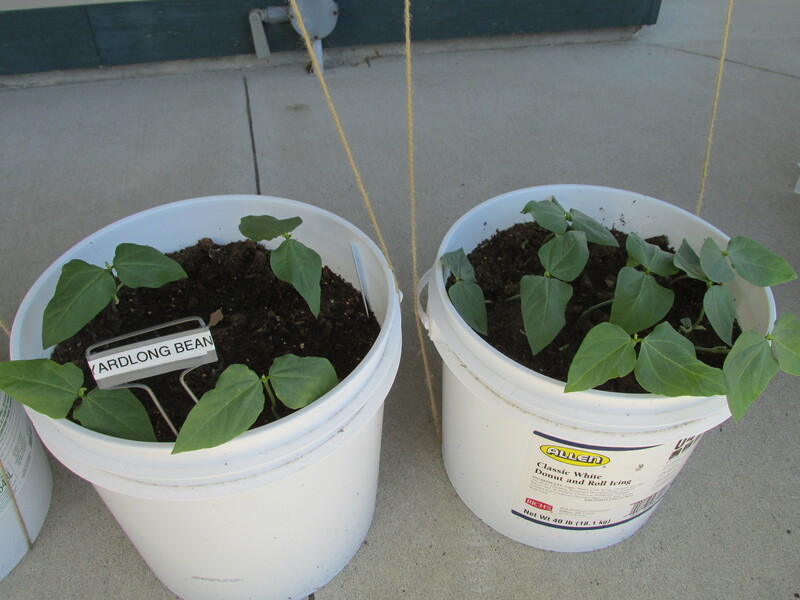 The bush beans & pole beans have both germinated. Moss rose was planted to replace the lettuce in the gutter garden which will tolerate the heat of summer without any trouble. 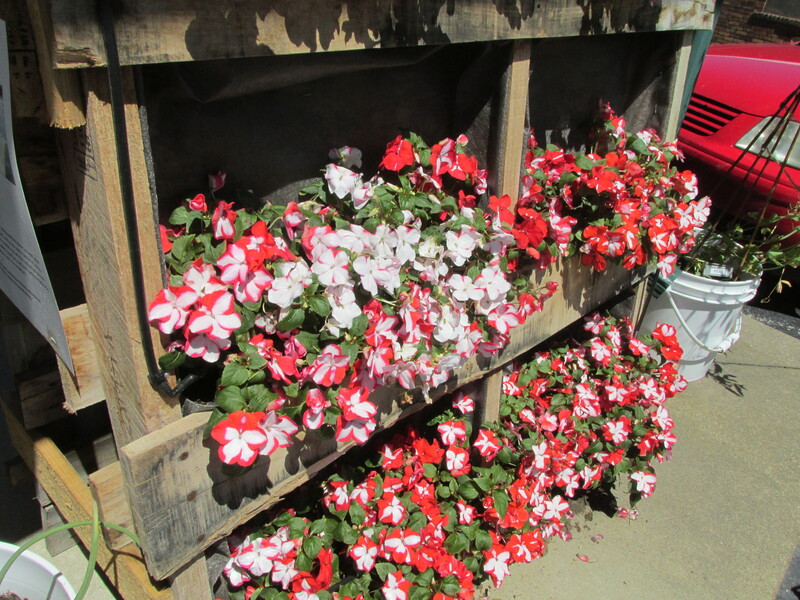 The impatiens are flourishing in their A-frame pallet garden. The plants in the straw bales are growing okay. 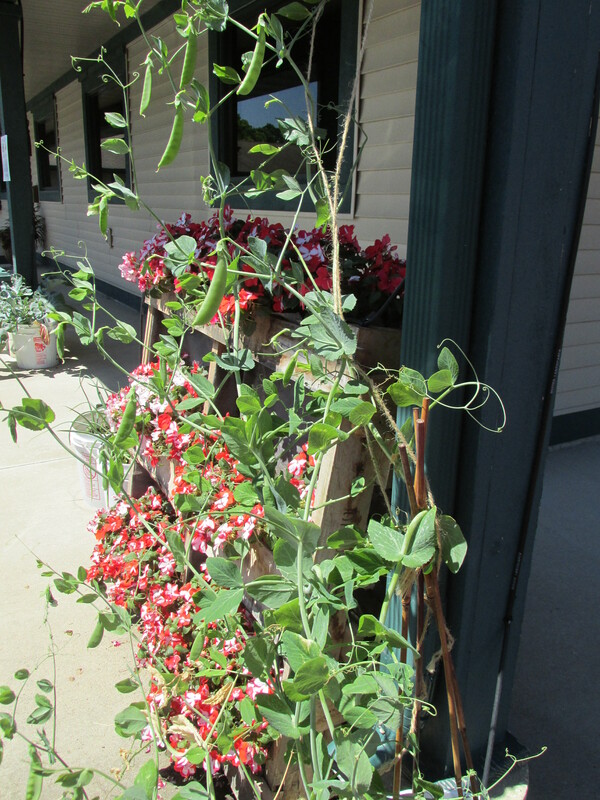 I am being a little impatient for an explosion of growth but good things take time – water, sun & nutrients. An important reminder if you are joining us on this straw bale gardening journey, don't forget you are the source of nutrients for the plants. 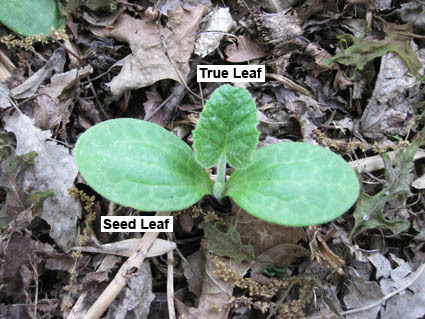 Mark your calendar and fertilize once every two weeks when the plants are small (after the first true leaves have developed but before fruit production has started – there is an example of a true leaf in the photos above) and on a weekly basis once the plants are established. You can use fish emulsion, compost tea or a soluble fertilizer. If you are growing vegetables in mobile containers make sure they are situated in full sun. Although our broccoli, kale & cabbage grew nicely getting sun only in the morning, our tomatoes & eggplant were not has happy with the arrangement. A quick change of locations and they are growing much better. 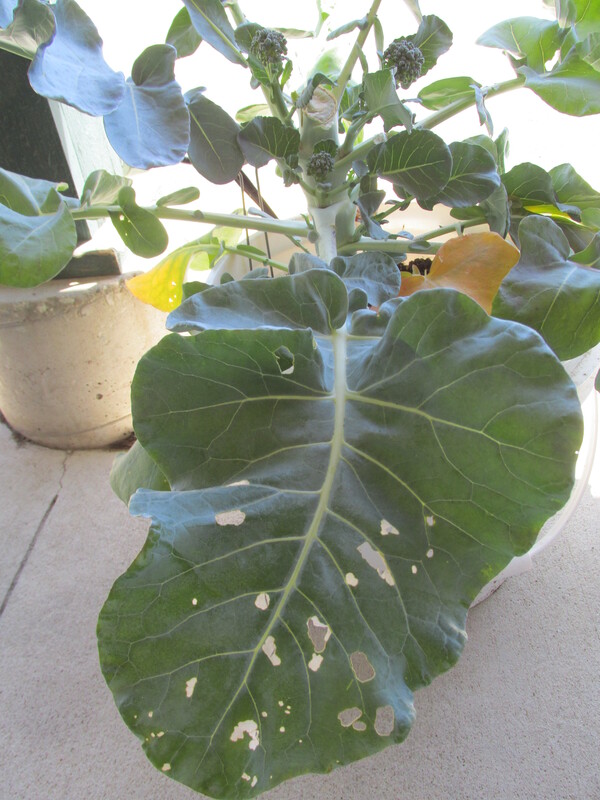 As with most garden projects we've had our hiccups: Caterpillars munching on broccoli leaves, aphids taking up residence on the eggplants and a touch of drift to name a few. So after squishing the caterpillars and replanting the plants impacted by drift, we're back on track. The aphid invested eggplant was one of the drift casualties so additional treatment for the aphids was not necessary. If you find aphid in your garden they can be controlled by washing them away with a forceful spray of water or insecticidal soap. One of the okra seedlings perished but a volunteer cucurbit (squash, cucumber, pumpkin etc.) has filled its space. The seed was lying in wait in the compost and when it was added to the straw bale at planting time it was finally able to take off. Maybe we'll let it grow and see what we get. What's happening in your garden? The good, delicious, bad or ugly - we want to know. How about posting your best/worst garden photo to our Facebook page. Enjoy a day of touring the best kept secrets in Piatt County with our small farms and local foods agricultural walking tour. Have an opportunity to learn more about heritage poultry, buffalo, and locally produced fruits and vegetables.